Rest Easy Pest Control covers a wide portion of the greater New York area. We go north enough to cover pest control in Westchester and Rockland County. We cover all the boroughs and the greater area of Long Island too. Having exterminators stationed around these different areas makes us an easy choice for fast and reliable service. There’s no need to search elsewhere when you can put your pest problem in the hands of Rest Easy Pest Control. If you live in New York, you are lucky enough to be surrounded by millions of friendly residents and tourists year round. Unfortunately, New York is also home to a common type of unwanted visitor – pest invaders. There are hundreds of different types of pests in the city, and while you can’t always prevent infestations, you can sometimes work to mitigate or completely eliminate them. By understanding the common types of pests in New York, as well as what attracts and kills these pests, you will be more effective at keeping them out for good. Your home is your haven. It shouldn’t play host to uninvited guests, like pests. There are hundreds of different pests that may invade your home. Luckily, many of them can be prevented by taking a few extra steps and being vigilant in your cleaning routines. Make sure all potential entry points to your home are sealed, such as the spaces around windows and doors, and take your trash out frequently so that you aren’t providing pests with easy access to food and water. As a business owner, pest control should be at the top of your to-do list. Pests have the ability to destroy your reputation, and can even cause you to fail health inspections. While a few flies in the kitchen or an ant here or there may not be enough to make or break you, a major infestation – or any presence of rodents or other disease-carrying pests – can cause your business to be permanently closed. Don’t risk it – contact a certified pest control professional immediately to get rid of your pest problems. There is virtually no end to the list of pests that can invade your home or business. While many can be prevented by maintaining a clean and tidy building, others will invade no matter how clean you are. Ants, for example, are commonly attracted to easy sources of food and water, but not always. They can come inside seeking shelter from the harsh elements, and stay if you have desirable conditions. Common types of ants including Little Black Ants, Pavement Ants, and Carpenter Ants. While most ants are little more than a nuisance, other types can contaminate your food, spread disease, and even sting, so make sure you do your research and do everything you can to prevent a small infestation from ballooning into a massive one. Another common pest is the cockroach. These pests are attracted to areas of poor sanitation and frequently surface if you’ve left lots of food out in the open. They usually appear in kitchens or bathrooms, as they also need moisture, and can be difficult to get rid of once they occur. Cockroaches can spread diseases like salmonella, and can also induce allergies or asthma in people who are already sensitive. In New York, there are a plethora of pest control services trying to get your attention. 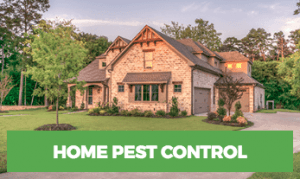 While many of these companies may offer flashy slogans or offers for quick, cheap pest elimination, keep in mind that not all pest control tactics are safe for your health. Many strategies and treatments used to control pest infestations have long-lasting side effects, and some can even be toxic to people or animals. Don’t risk it. Instead, contact Rest Easy for organic pest control in New York. 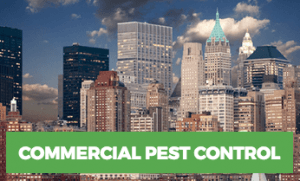 We will work with you to develop a pest control solution that is safe for you, your family, and your customers, and we’ll keep your budget and long-term goals in mind as we work alongside you to meet your goals in New York.